Bon and I had wanted to take a walking trip in Europe since our backpacking trips to Isle Royale in the summers of 1995 and 1996. 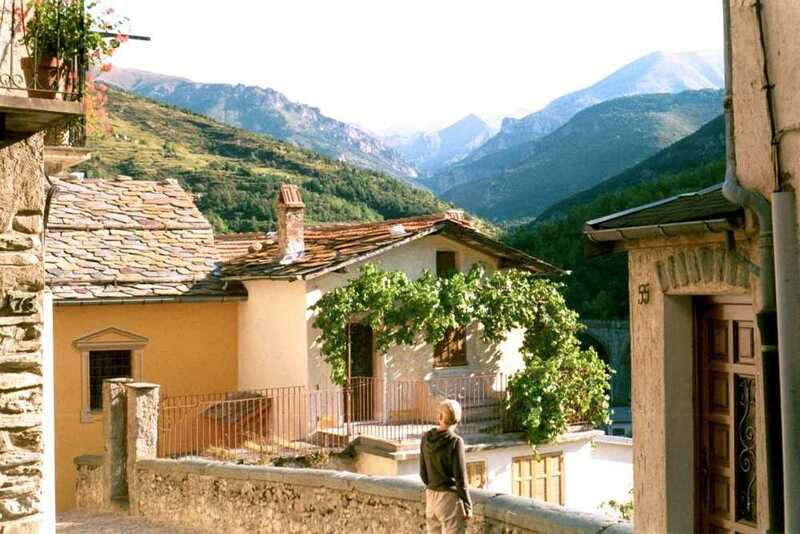 In May of 2000, we decided on a September trip, walking from town to town in Southeastern France. 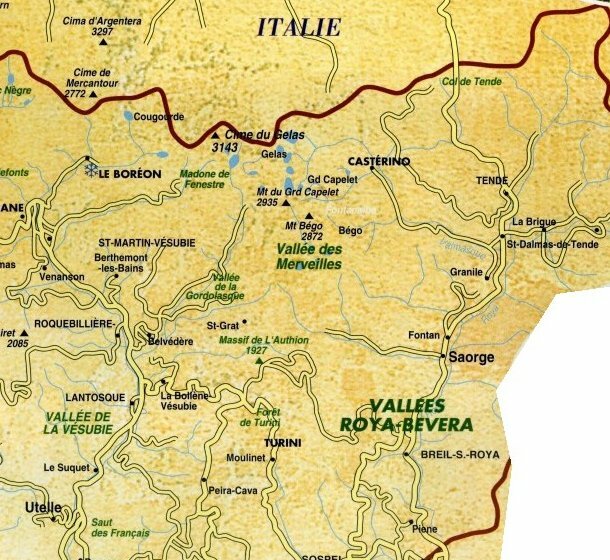 By the end of August we had compiled a detailed trip itinerary with information about towns, hotels and walking paths in the Alpes Maritime, an area of southeastern France adjacent to Italy. A week before our departure we began getting ourselves ready in earnest. Hiking boots and backpacks were located in the attic; washable clothing was debated and honed down to two or three changes of clothing. Most of the typical backpacking camping paraphernalia was dispensed with, but we did take our water filter which had served us so well on Isle Royale. We spent the evenings after work on the screened porch with maps spread out reviewing alternatives and downloading information from the Internet into our trip plan. Eagerly anticipated, the date of departure finally arrived!